Harrison Fisher's family was originally from a part of Austria, which is now in Czechoslovakia. The family name was Fischer which was changed to Fisher after immigration. Harrison Fisher was born in Brooklyn New York, USA, on July 27th, 1875. He had one younger brother. His great grandfather, grandfather and father were all artists. At the age of 6, he was taught to draw by his father, the landscape painter Hugh Antoine Fisher. The family moved from New York to California in 1881. Harrison studied at the San Francisco Art Association (later named the Mark Hopkins Institute of Art. At the age of 16, after studying at the Mark Hopkins Institute of Art in San Francisco, Fisher began selling his illustrations free-lance. 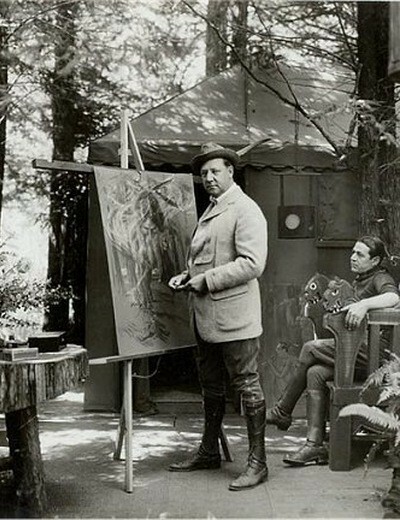 In 1894 Fisher's father and two sons opened an art studio in San Francisco. The San Francisco Call newspaper began buying his sketches of accidents, street scenes and social gatherings. These had to be done quickly to meet deadlines. The news baron William Randolph Hearst owned the paper. In 1897, Hearst transferred Fisher to New York to beef up the New York Journal which Hearst had just acquired. Fisher also secured a job with Puck magazine as a cartoonist. By 1900 he had built a reputation for himself as a professional illustrator. During the first quarter of the 20th century, his artwork appeared on over 80 covers of the Saturday Evening Post. He contributed regularly also to the American Weekly. 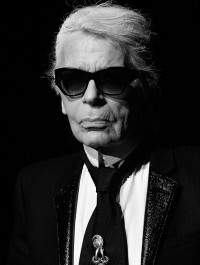 He became well-known for his graceful drawings of mobile and animated young women, notably on the covers of the fashion magazine Cosmopolitan. His "Fisher Girl" and "American Girl" became the epitome of beauty in America during the 10's and 20's. 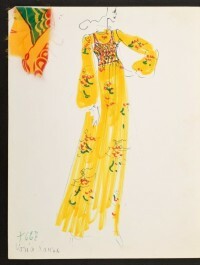 He illustrated many of the dresses in fashion during the early part of the century. He died in 1934 at the early age of 59. When he died a relative took a few of his paintings, and burnt the rest, sending about 800 Harrison Fisher originals up in smoke.